At last the chance, to do what the people want, on Twickenham Riverside? But Oh dear – Yet another property development!! 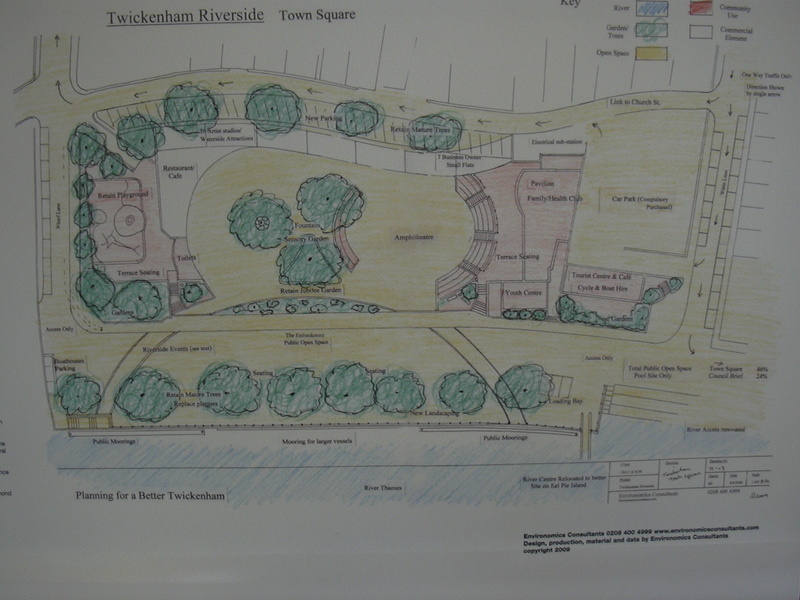 In 2010 to stop the Lib Dem “luxury housing” scheme, the residents of Twickenham voted within the “Barefoot” consultation for a peoples plan for Twickenham Riverside (click this link). Yes very curious, the results have been removed from the Council’s website, but luckily I copied them, see below. Residents then voted the Lib Dems out of office with the promise from the Conservatives, that they would do this plan. Now the Conservative have their own “luxury housing” scheme, sound familiar? The exhibition to present this housing scheme is from the 13th June (click this link). You can be assured it is not what was asked for, but go along and have a look to see if it compares to the peoples below results, specification, drawing and model. Twickenham should have a better range of shops. and would like to see more pedestrian areas. 1. No mention of private housing. 2. No suggested sub-dividing the site. 3. Council were responsible for implementation. 4. There was no mention of the Council handing over this responsibility to an outside organisation that will be unaccountable. What a turn up “May goes for broke” asking the country to ratify – the referendum, Parliament’s vote and her as PM – act of desperation or stroke of genius? Well only the Tories will already have geared up their election machine for this, which usually takes everyone else one year to do, so advantage May 11,334,576 votes. UKIP are quite happy with the Governments performance on the referendum, so they will obviously not stand in the way of the Tories 3,881,099 votes – so combined total 15,215,675 of votes. All the other parties are EUpean parties to beat the Tories, will have to gang up and the Lib Dems 2,415,862, SNP 1,454,436 would have to campaign for Labour 9,347,304 – but even they did this (which they won’t) this is not a big enough number to win the election – Total 13,217,602. So I would say the smart money today is on May, but that is only because there is not another choice. In 2022 things will be different, the people will have a choice of a party that only does the will of the people. All this political infighting will be over and Enact will do what you want – at last!!. Barry Edwards’s political history has evolved. Between 1980 and 2006 he didn’t vote because he was ‘disillusioned’ with politics. 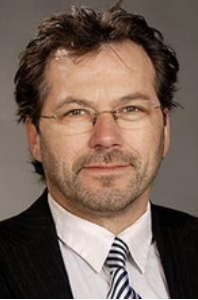 In 2006 he stood as an Independent as got 458 votes the highest vote for an Independent in recent history. After working with the Conservatives from 2009 to 2012, standing in Teddington with 2183 votes and getting rid of the Lib Dems “Luxury Housing Scheme” on Twickenham Riverside, he left to join UKIP in 2013. Why, because the Tories may be more sensible than the Lib Dems, but there would not put people first. So what was achieved in UKIP? Well a General Election was fought in 2015 and 3069 votes was enough to cause a changing of the guard and by taking these votes off the Lib Dems, the first Conservative MP since 1979 was elected. In 2016 the historic Referendum took place and although 1,514,477 Londoners said that they wished to leave the EU, 2,247,166 said they wanted to stay (a difference of 732,689 to Remain). Adding this into the rest of the country a total Turnout: 72.2% – Number of local areas declared: 382/382 – Leave: 17,410,742 (51.9%) Remain: 16,141,241 (48.1%) Total Electorate: 46,500,001. Though the 52% to 48% proportions would seem close, but from the rest of the country there was a difference of 2,200,190 extra, which when added into the figures left – 1,269,501 votes to Leave. Though some Remain campaigners have insulted democracy by continuing to try overturn and overturn this decision by UK voters, the vast majority of people wish to find out if it is true that we will be better of outside the EU. This will be decided within the next 2 years, but for Barry this was a truly an inspirational experience, it was not the EU take would decide the countries fate, or the UK Parliament, it was actually the British people that decided. So he set out to make this policy for UKIP. That the people would decide and the UKIP MPs would just do the will of the people. Well this didn’t happen. They have acknowledge referenda being important in certain cases, but wish like all the other parties to keep the power squarely in the hands of politicians. So ENACT was born to be the only political party that will do what people want. Yes real, true, direct democracy – demos Kratos – power to people. Our politicians are not elected in Local Authority Councils, or Parliament to decide what they think and then to vote for what their party tell them to say – are candidates seek to gain office, so they can vote for what you have told them to vote for. ENACT has no members of a party telling them what to do, their party is the people, everyone inclusive and that will not change. Over the coming months/years the other parties will try and accuse ENACT of all sorts of things, as they usually do, but rest assured, trust and judge us on what we do, not the propaganda these disgraceful politician will no doubt “peddle”. The government’s internal budget deficit may have been improving, but the UK annual current account is at its worse level for 25 years, Britain lost £97bn last year. We are losing money every month. This has taken the national debt from £800bn under Labour to almost double to 1.5 Trillion under the Lib Dem & Tories. Professor Tim Congdon says the total cost of the EU to Britain is £170 Billion per year. So are we really going to have a huge windfall of cash for the NHS and public service after leaving the EU? Please go to the Office of Budget Responsibility website, for these facts. Start researching and thinking about this issue, it will very shortly affect you and will definitely affect your children and we will be asking you, what would you do? Has the answer been under our noses all along? Do the Remain and the Leavers want the same thing? 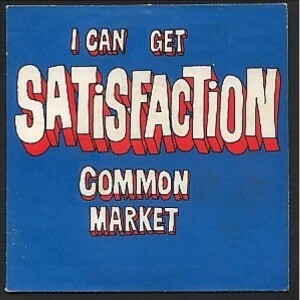 DO WE WANT THE COMMON MARKET? Have our politicians lost sight of this prize. What the new Prime Minister Teresa May must understand is that she is there to follow the will of the people. The people have spoken, we don’t want a deal based on some Norwegian or Swiss model, we want the Common Market we signed up to. If our politicians don’t deliver, then they are not Democrats and a new breed of politician will be required. The UK is no longer prepared to have remote career politicians doing whatever they, or their party, dam well like. It is time for proper Democracy and for the old political elite to go. Whether Teresa May achieves a Common Market for the UK, or not, the people have shown that they are better at making decisions than Parliament and it is now time to let the people decide on many more issues that affect their lives. Why don’t Politicians tell us the Truth? ENACT says – should the Lib Dems, Conservatives and Labour parties continue taxing your children, through inheritance tax. Within the Lib Dems, Conservative and Labour’s current position, your children will have to pay huge sums to the Government on your property and life savings after you die. You may have worked all your life and paid the tax on your earnings to buy a home and wish to pass it to your children to provide a great start in life for them. However these parties after an allowance of £325,000 threshold per person, or combined for a married couple of £650,000, will charge your children 40% tax on the value of the rest of the estate, so effectively they will have to buy back their own home. ENACT is appalled that this information has not been made available to the public in the lead up to the General Election by any of these parties’ prospective parliamentary candidates; as ENACR asks is this tax fundamental wrong. Should this Tax on Children across the country be stopped, ENACT thinks so, but what do you want? Figures from the Her Majesty’s Customs and Revenue; Understanding Inheritance tax (HMRC, 2014). Barry Edwards ENACT Parliamentary candidate for Twickenham asks, “do you want to protect open spaces in leafy London Borough such and Twickenham & Richmond. Twickenham and Richmond after a stable period of 25 years leading up to 1999, is experiencing unprecedented urban growth, see map below, and in the last 5 years this has been accelerating exponentially. Within the latest data from the Office of Nation Statistics it seems that the Lib Dems, Conservatives, Labour & even the Greens are ignoring the currently projected 41,000 new homes needed in Twickenham and Richmond by 2050; which is equal to the entire size of Bushy Park, 4.1 Square Kilometres of lost open space. Where will all this new housing go?? 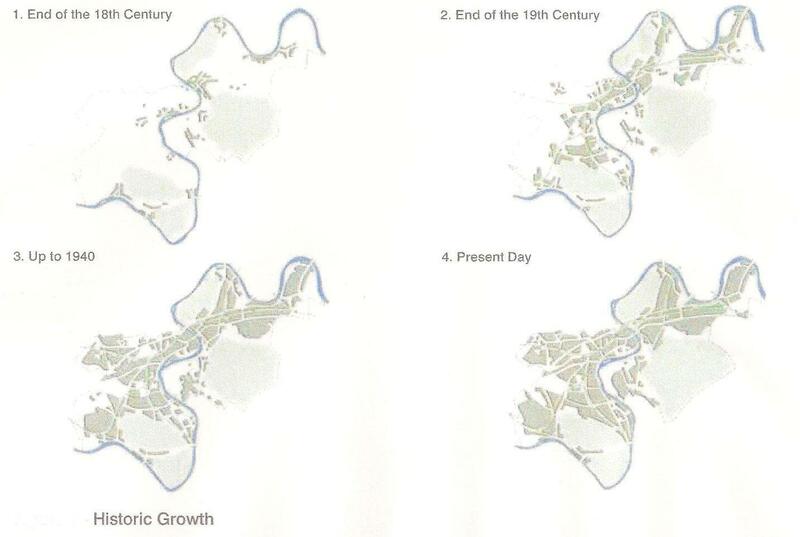 Historic growth of built space – The dark areas are built land, the lighter areas are the only open spaces left in the Borough, (the large areas are Richmond, Bushy and Old Deer Parks). Given the long term projected population growth, the areas that will increasing become under threat in Twickenham are: Moormead Park, Orleans Gardens, Richmond College, Cranford Way, Knellor Gardens, Twickenham Green, Radnor Gardens, Strawberry Hill Golf Club, Twickenham Golf Club (David Lloyd) Crane Park, Shacklegate Lane, Teddington Studios, Langdon Park, Broom Recreation Ground, Castle Park and a significant proportion of Bushy Park. The areas that will become under threat for Richmond are: Old Deer Park, Terrace Gardens, Petersham Meadows, Hamlands, Latchmere Recreation Ground, Richmond Park Golf Course, Barns Elms, Barns Common, Roehampton Playing Fields and a significant part of Richmond Park. 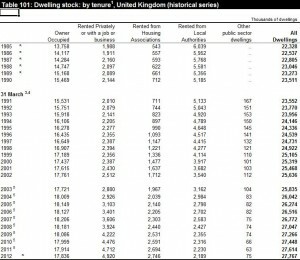 Within the Lib Dems, Conservative and Labour’s current position, it is inevitable that all of this open space will be lost, because they have not published a housing policy which could cope with this vast need for housing. This is not a new phenomena, the Mayor’s London Plan in 2009 described London’s population as being “likely to continue its steady growth” and “unless something happens to reverse these deep seated trends, London’s population will continue to grow”. 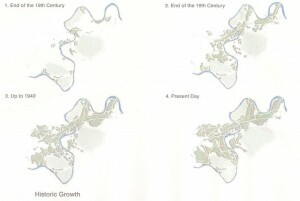 (GLA, London Plan). The Conservatives were informed about the impending spiralling need for housing in October 2012 and have done nothing about it. The Lib Dems have been quoted saying “the more EU migrants the merrier” (Vince Cable, 2012) and the Labour party signed EU Directive 2004/38/EC allowing the free migration of unlimited numbers from Europe and the Greens also are not acknowledging the problem. ENACT is appalled that in the lead up to the General Election this information has not been made available to the public by any of these parties’ . It is now a real and historic choice for the residents of Twickenham and Richmond at the General Election in May to stop this dramatic national change to their local way of life. There are currently proposals to build on Richmond College and Teddington studios and without an alternative, the rest of the areas listed could be under threat and built on in due course. This massive increase in population numbers will also affect the provision of future school places, health and welfare provision, jobs and Council services for local residents. ENACT asks do we need to stop Twickenham and Richmond becoming totally urbanized; would you help ENACT to protect our local parks and open spaces by supporting ENACT. How this refers to Twickenham and Richmond is there are 83,000 homes and a population of 190,000. At the1% population growth rate the population will be 285,000 by 2050, so dividing this by the average dwelling rate of 2.3 per dwelling; this would be 124,000 homes, representing an increase of 41,000 homes. The question must be asked of these parties; why are the Lib Dems, Conservatives, Labour and Greens allowing this to happen? Will we have to have wall to wall housing, before the damage this will cause to our Open Space and the fabric of communities is recognised? The top issue affecting all aspects of life in the UK today and the top priority when making your voting choices in the General Election in May, is the ever increasing demands on resources from ever increasing numbers of people. To date, as Sir David Attenborough says “this has been a taboo subject”, but now he strongly encourages that people should talk freely about this to ensure a better standard of living for all; including a good environment, economy and social/cultural provision. 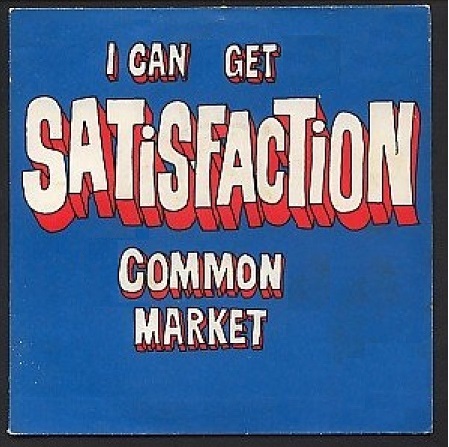 Whenever a politician talks about the demands on NHS, School places, housing needs, wages, etc, in any way, their comments must be measures against the sheer number of people involved and whether this can be managed. The table below shows the factors which increase population in the left column and the factors causing reduction in the right column. This has to be the principal reason deciding your vote in the General Election, or like the other political parties, you will be opening up the UK to the other factors in the right column; all of which seem a frightful prospect. You see nature will choose from the right hand list unless we adjust our approach in the left hand column; because it is an inconvenient truth that as population increases resources decline for each individual in that population. Encouraging abstention, contraception, small families and having a single fair immigration policy for all countries outside the UK would be a start to solving future resource problems. Managing population will reduce the need for additional house building, building schools, roads, sewage works and pressure on the NHS. The question is will we be able to stop this population growth whilst there is still some open space and resources left, or will we wait until there are wall to wall people and the power has gone off? Today we still do have a choice, but not for long, because even controlled growth, just means growth! !